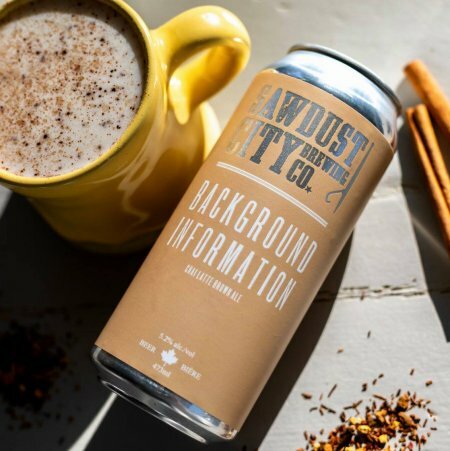 GRAVENHURST, ON – Sawdust City Brewing has announced details of the 10th of its 52 weekly beer releases for 2019. Enticing aromas of exotic spices leap out as this elegant brown ale fills the glass. Built on a backbone of crystal and roasted malts and flavoured with a unique masala blend, Background Information begs you come in and take a sip. A thick tan head builds atop the glass. Beneath lays layers of rich malt, boasting flavours of doughy bread, roasted nuts and exciting spices. Background Information will be available tomorrow (March 7th) at the Sawdust City retail shop and online store, as well as select beer bars in Ontario, while supplies last.